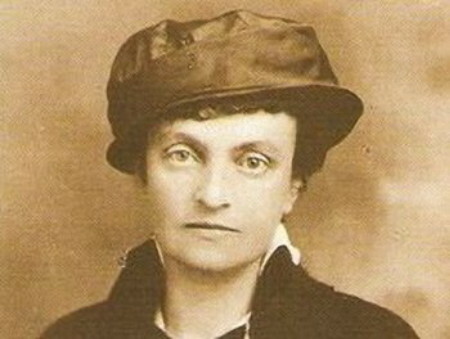 Kulchytska, Olena [Кульчицька, Олена; Kul’čyc’ka], b 15 September 1877 in Berezhany, Galicia, d 8 March 1967 in Lviv. 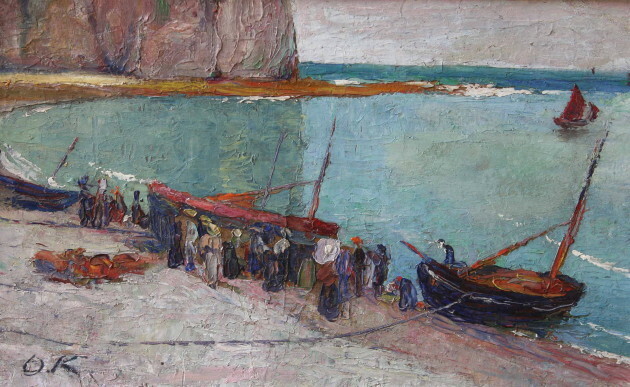 Painter, graphic artist, master of applied arts, and pedagogue. 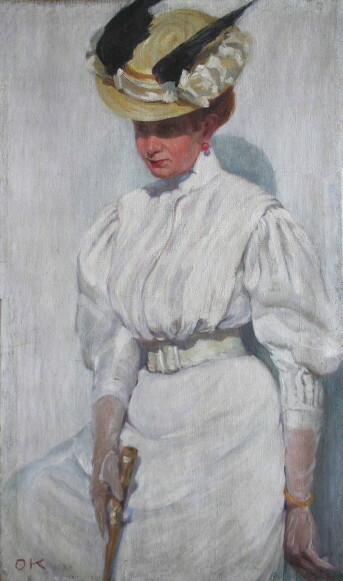 Completing her art studies at the studio of R. Bratkowski and S. Batowski-Kaczor in Lviv (1901–3), and the Vienna School of Industrial Design (1903–8), she taught at a gymnasium in Peremyshl (1910–38). 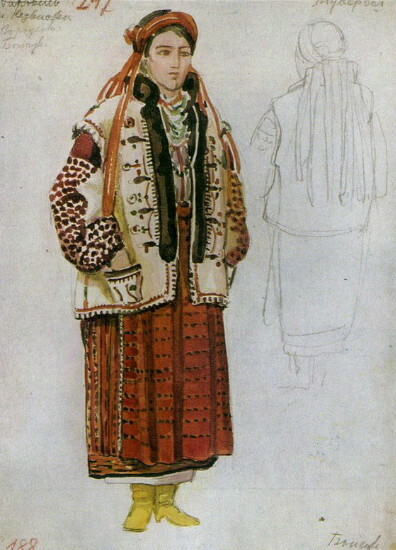 In 1939 she joined the ethnographic department of the Museum of the Shevchenko Scientific Society in Lviv. 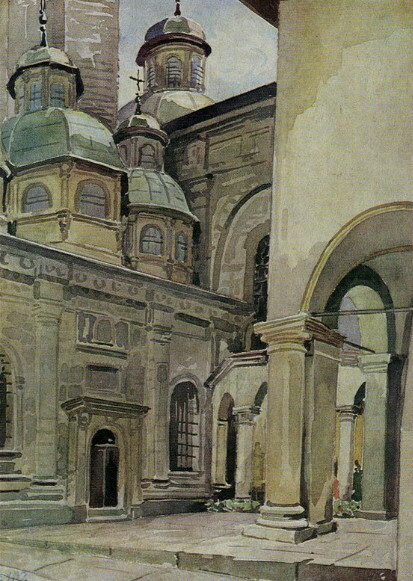 After the Second World War she taught book graphics at the Lviv Polygraphic Institute (1945–51) and in 1950 she was elected corresponding member of the Academy of Construction and Architecture of the Ukrainian SSR. 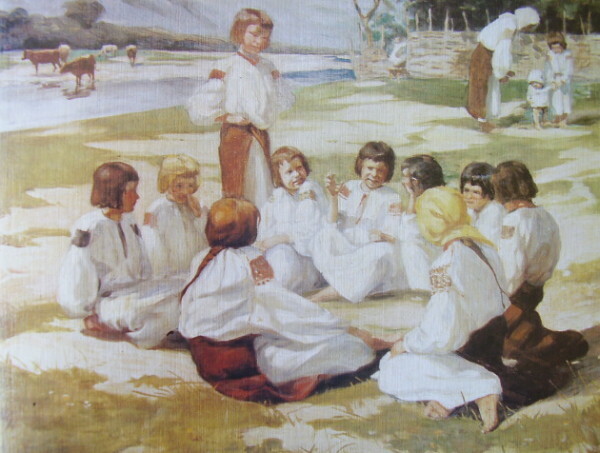 Most of Kulchytska’s artistic work consists of oil paintings, watercolors, and illustrations, particularly of children's books. 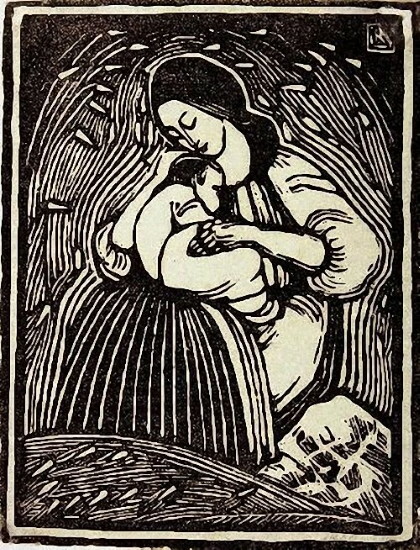 As a graphic artist she used various techniques and produced woodcuts, linocuts, copper engravings, and etchings. 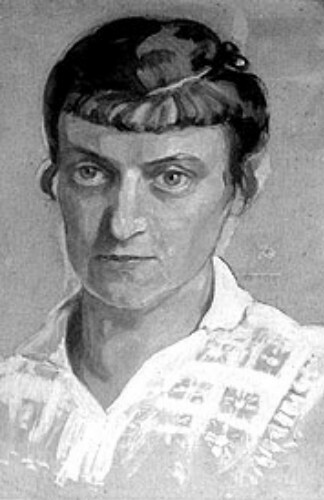 Her chief oil paintings are Children in a Meadow (1908), Harvest (1913), Children with Candles (1913), portraits of her sister Olha (1912), a self-portrait (1917), and the series Christ's Passion, Spring, and Landscapes. 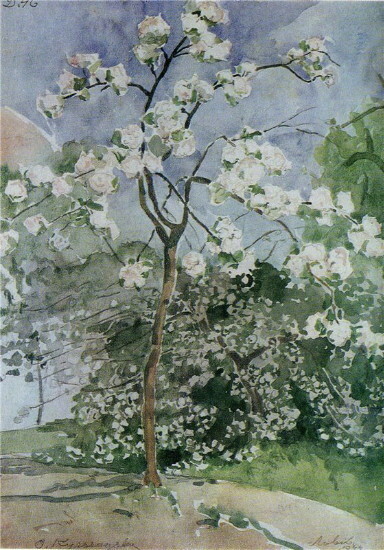 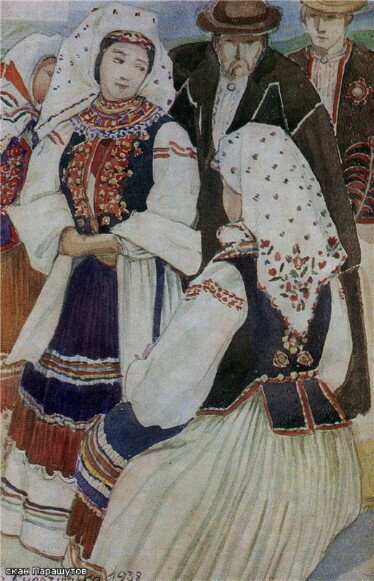 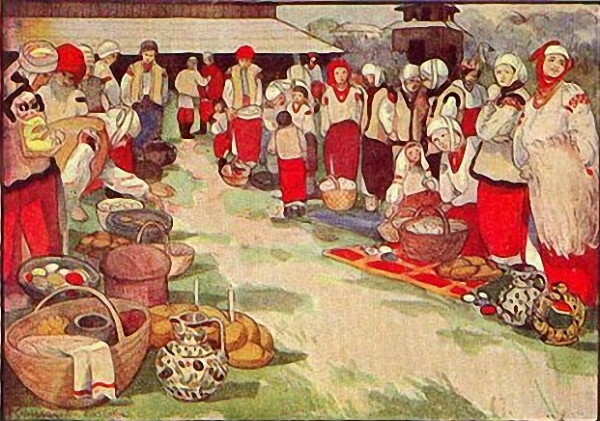 Besides such well-known individual watercolors as Apple Trees in Bloom (1928), Mountain Meadows (1925), and Mikhova Village (1930–1), she did several watercolor series, including Folk Costumes of the Western Regions of the Ukrainian SSR (1959) and Folk Architecture of the Western Regions of Ukraine. 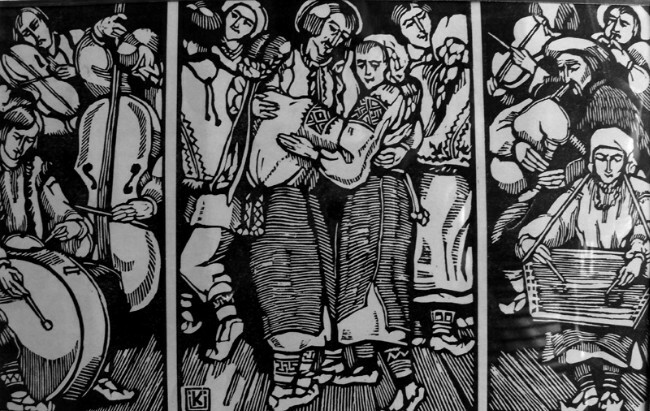 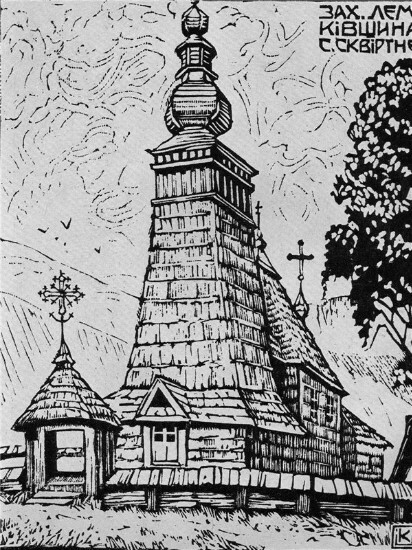 Her mastery of the woodcut and linocut techniques is evident in such print series as Ukrainian Writers (1920), Folk Architecture (1931), The Hutsul Region (1935), Legend of the Mountains and Forests (1936), and Dovbush (1940). 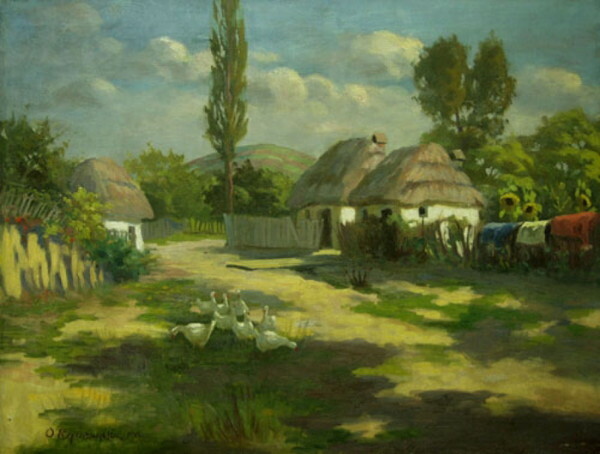 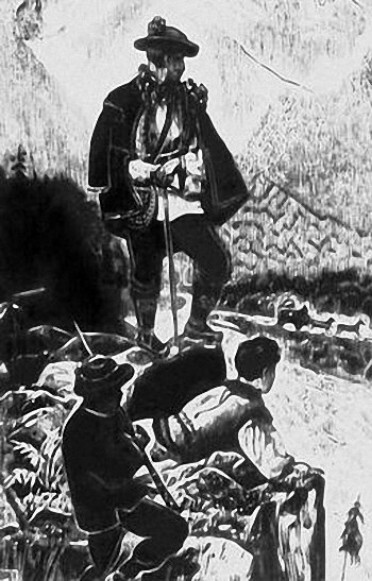 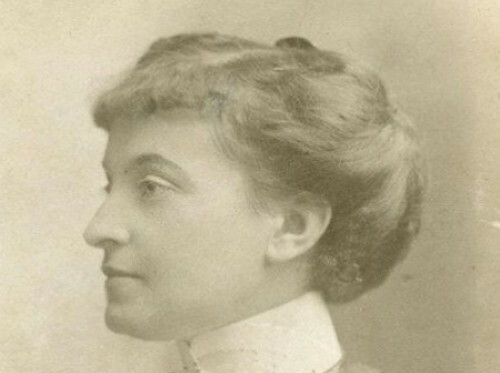 Her etchings, such as Beyond the Sea (1915), Under a Foreign Sky (1915), The Moloch of War (1915), The Black Clouds of War (1915), and Vengeance (1917), are a powerful condemnation of the exploitation of Ukrainian peasants and of war. 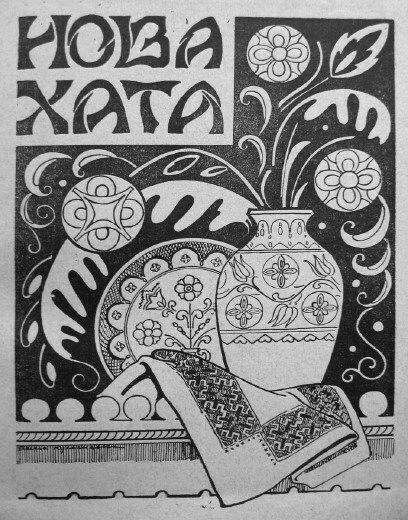 She has illustrated numerous books: Ukraïns’ka narodna mitolohiia (Ukrainian Folk Mythology, 1922), Ivan Franko's poems Lys Mykyta (Fox Mykyta, 1951, 1962) and Moisei (Moses, 1939), Slovo o polku Ihorevi (The Tale of Ihor's Campaign), and various works by Mykhailo Kotsiubynsky, Vasyl Stefanyk, and Yurii Fedkovych. 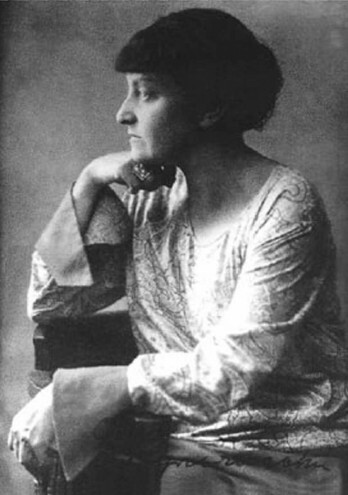 Her contribution to children's literature consists of illustrations to the book series Nashym naimenshym (For Our Smallest Ones, 1915–28) and to the books and magazine (Svit dytyny) published by the Svit Dytyny Publishers. 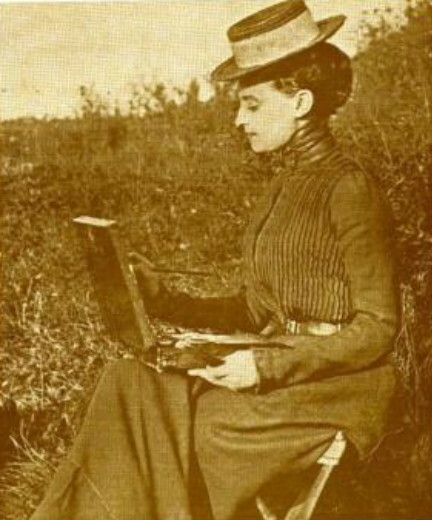 In the field of applied arts, collaborating with her sister Olha, she designed 80 kilims. 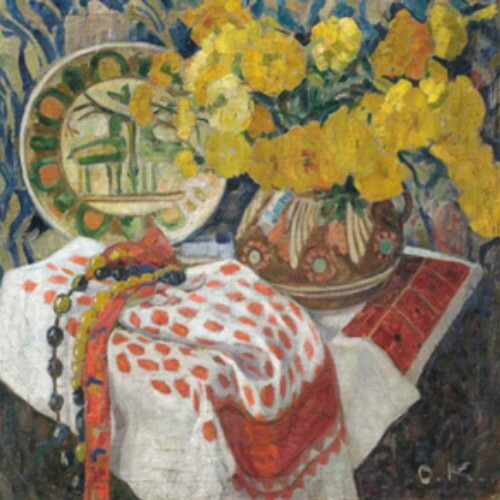 Her skillful blending of modernist Viennese trends with Ukrainian folk art made her art extremely popular. 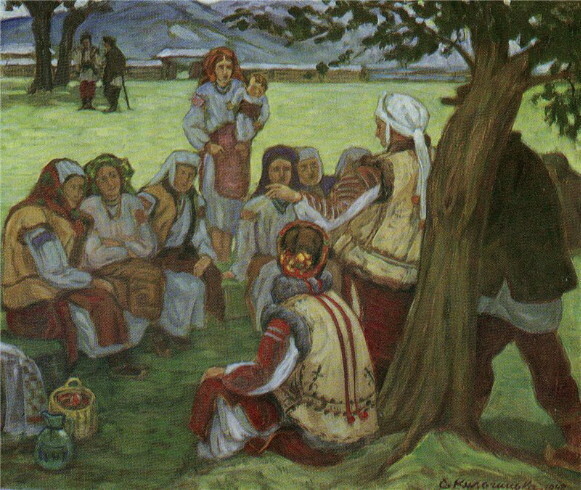 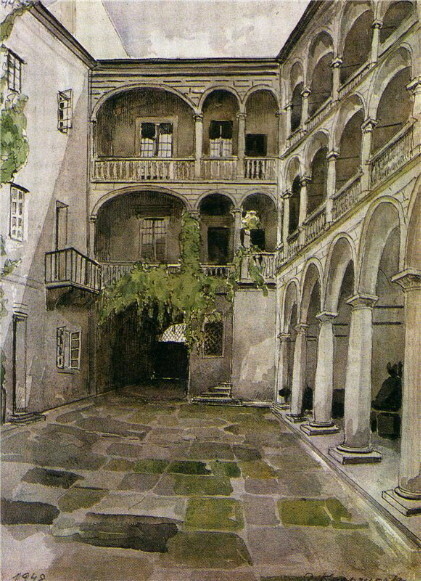 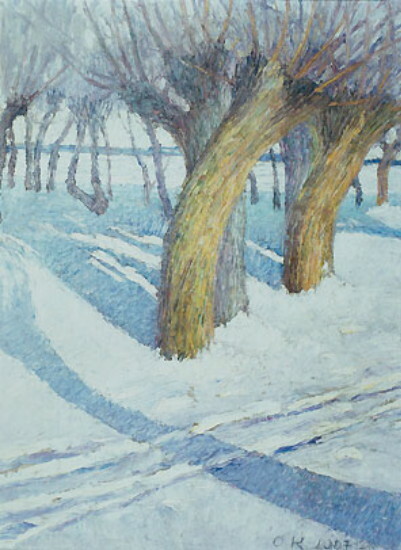 From 1908 Kulchytska took part in numerous exhibitions in Lviv, Cracow, Warsaw, Poznań, Kyiv (1911, 1913), Poltava, Vienna, Berlin, Kharkiv, and Prague. 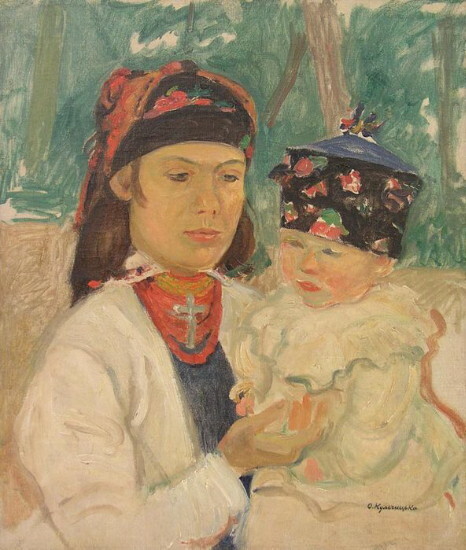 In 1950 she donated her own collection consisting of over 3,000 of her works (paintings, prints, and kilims) to the Lviv Museum of Ukrainian Art. 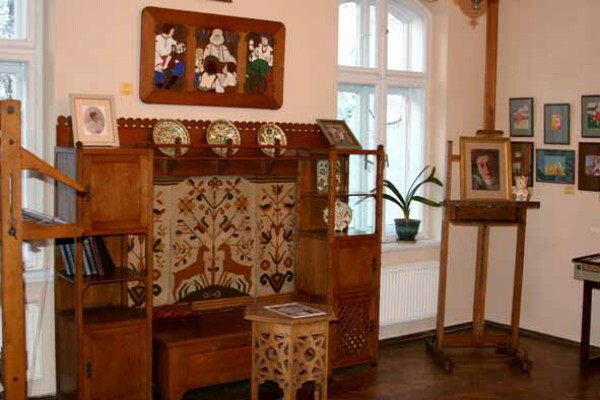 The Kulchytska Memorial Museum was opened in Lviv in 1971.